With around eight days left for 2016 Rio Olympics India has been hit by a couple of doping scandals which have taken the nation by storm. In the past few days, the nation saw Narsingh Yadav, Inderjeet Singh, and Sandeep Tulsi Yadav test positive for banned substances. 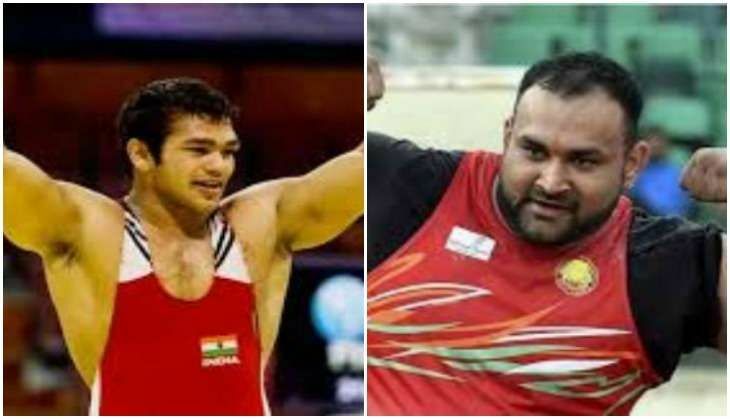 Narsingh Yadav and Inderjeet Singh have been banned from the Summer Games. According to reports, an FIR has been registered by the Haryana police after receiving Narsingh Yadav's complaint letter, which indicated the names of people who allegedly spiked the wrestler's food. According to the Sonepat DIG, HS Doon, no arrests have been made in the case yet, however a probe will be conducted in the matter as soon as the people names in the letter are investigated. According to a report in CNN18, Narsingh Yadav failed the second dope test conducted by NADA on 27 July. The test conducted by NADA on Narsingh's food supplement returned negative and ruled out of addition made to the food supplement. Narsingh's brother admits that his food supplement was not tampered with on 5 June. Praveen Rana, a 74kg freestyle wrestler, will replace Narsingh Yadav in the Games. On 27 July, Yadav filed a complaint letter in the Sonepat Police station identifying a 17-year-old boy for spiking his and his roommate's food. The accused minor is the brother of an international heavy-weight wrestler and had visited Sonepat as a part of a training camp. SAI cooks and officials had reportedly seen the boy spiking the food. While some reports claimed that the boy confessed to the crime, there has been no official confirmation or report on the same. Commenting on the issue, Narsingh claimed that the dope scandal is a conspiracy against him and some one is definitely trying to sabotage his Olympic dream. He says that CCTVs contained footage of only the past few days and did not contain footage stretching over months. Narsingh's coach also cried foul over the dope test results. Narsingh will attend the second and final plea hearing in front of the disciplinary panel at 4 pm on 27 July. The result will ascertain Narsingh's Rio participation. However, the question is, will NADA allow Narsingh if the disciplinary panel clears him of the failed dope test. To read more reports on Narsingh Yadav's ban, click here. The Indian shot putter on 27 July has sought Prime Minister Narendra Modi's intervention in his Olympics ban case. Inderjeet also failed the dope test and has been banned from representing the nation abroad. Just like Narsingh Yadav, Inderjeet too has claimed that a conspiracy has been hatched against him. According to reports, Inderjeet Singh has defied authorities several times in the past, and it has been suggested that his participation could have been sabotaged. Inderjeet has sought Prime Minister Narendra Modi's intervention in his Olympics ban case. To read more reports on Inderjeet Singh's ban, click here.